The story of the Palestinian people has historically been silenced. Storytelling has served a central role in maintaining the Palestinian community, even as we are displaced around the globe. Our Palestinian Narrative Trainings offer tools to Palestinians living in the diaspora to collect, record, and share their family stories as a catalyst for social change. Proclaim our identity by learning about our history, family, and culture. Dispel stereotypes by celebrating and sharing our strengths and heritage. Strengthen our voice by communicating experiences through our own eyes and in our own words. Share our stories by speaking to faith-based and other communities to inspire action. "By sharing the story of myself and my family members, I am performing an act of resistance and of advocacy. These stories may not be much, but even if I have one person question their belief system, I am happy. If one person takes this story to heart, I have planted a seed." FOSNA has partnered with Dr. Nadia Abuelezam to facilitate Palestinian Narrative Trainings across the country. Nadia is the creator and producer of Palestinians Podcast and an accomplished teacher, storyteller, and producer with a passion for the craft of storytelling and narrative. 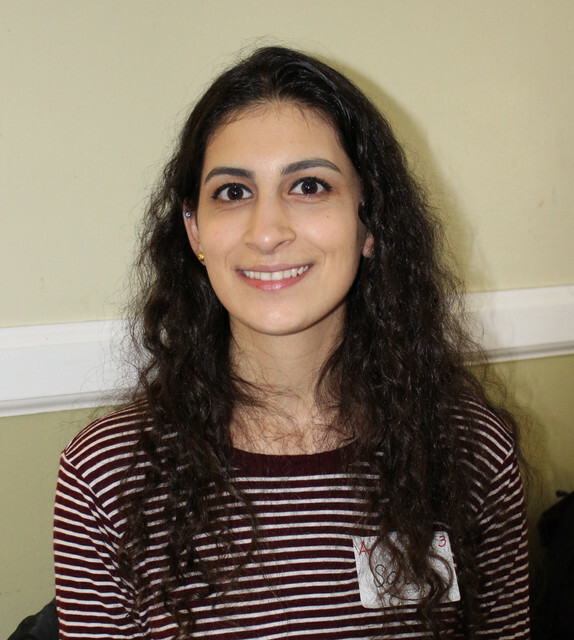 Born and raised in San Francisco and now living in Boston, Nadia values storytelling and its impact in building community and creating unity within the Palestinian diaspora. She has performed stories on stages across the United States including the Millennium Stage at the Kennedy Center for Performing Arts in Washington, D.C.